You have seen the images of it a thousand times. You have heard stories from the people who have gone. 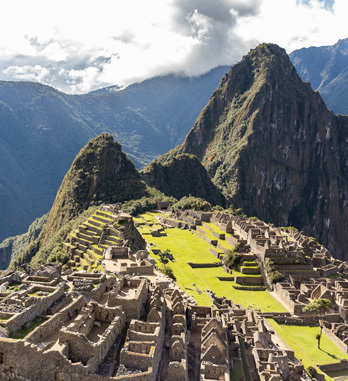 Now it is your chance to experience first-hand the amazing history of the Incas at Macchu Picchu. Nestled high up in the Andes mountains, with Huayna Picchu over-looking this ancient site you will marvel at the construction techniques and engineering these ancients used to create these stone masterpieces. Of course, Macchu Picchu is the most famous and most visited site in all of Peru, but beyond this gem lies hundreds of other archeological sites, villages, markets, churches, and temples that make any trip to this beautiful country a must. 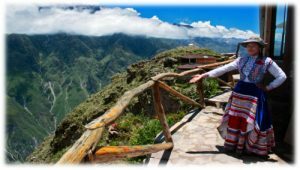 You will travel from the Sacred Valley up north to the Colca Valley in the south. 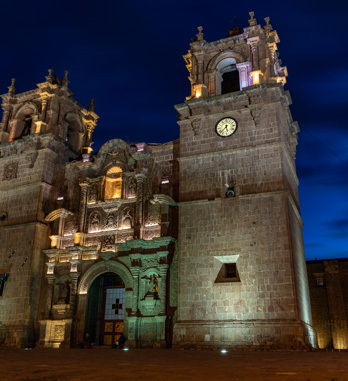 You will spend time at the ancient center of the Incan Empire in Cusco, quaint villages like Ollytantambo and Pisac, shop at the local markets, see salt-mines, and perhaps the best: eat some of the best cuisine in the world. Peru is the number one destination in the world for culinary tours and to say that the food is wonderful doesn’t do it justice. No matter where you eat, be it a high-end fancy restaurant, or a street vendor, the food will leave your taste buds craving more. From north to south, Peru delivers as the gem of South America. You will be enriched culturally and historically, but most of all, you will fall in love with the people and their proud heritage. Group size for this trip is limited to 10 people to enhance your overall experience. An itinerary for the trip is attached to give you an idea of what the schedule will entail. If you have ever thought about seeing and experiencing this great country, now is the time. We have purposefully scheduled the trip to avoid huge crowds of tourists, our experience will be intimate and very educational. And, of course, there is Macchu Picchu. Contact me via email to further questions…Peru awaits! A USD non-refundable deposit of $885 is due at the time of registration to secure your spot. It is advisable to purchase travel insurance that will refund your deposit if circumstances force you to cancel your trip. I use Emergency Assistance Plus (855-516-4345)for emergency medical coverage…it is part of the American Airlines Advantage Program. Checks should be made out to Wayne Hoover Photo Tours and mailed to to my address (please request via email). 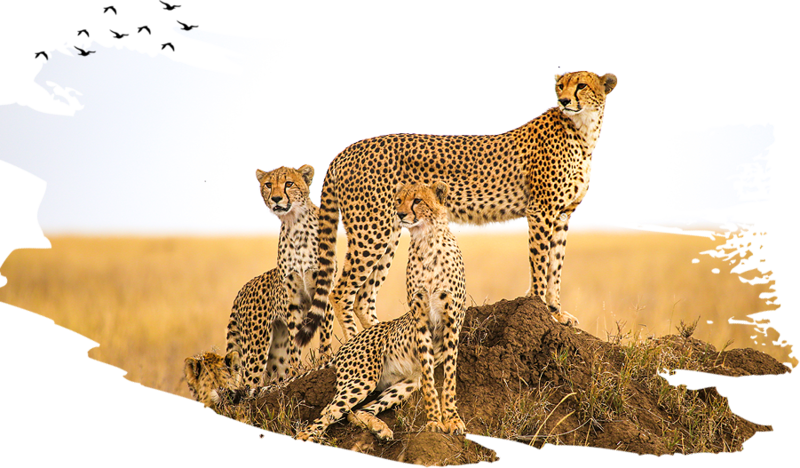 If you live outside the U.S., you can wire your deposit and payments directly to my safari account. Contact me via email and I’ll give you the necessary information. Arriving to Lima you will be transferred to your hotel. AM: In the morning you will have a tour of the Lima City Center. 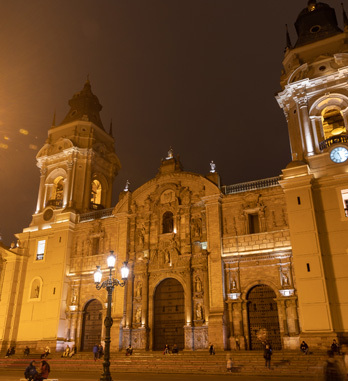 You will visit the historical center of Lima, the Plaza de Armas, the Archeological and Anthropological museum and the San Francisco convent. The history and majestic architecture are stunning, and the food is some of the best in the world. 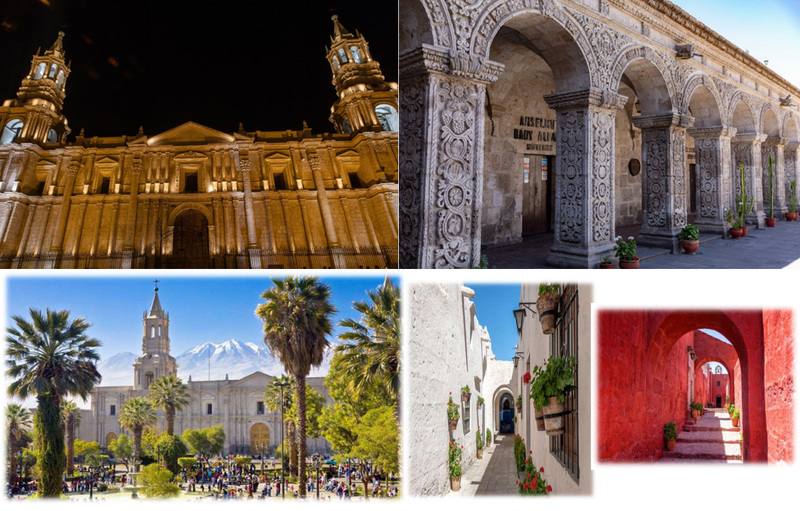 After spending the morning visiting these great sites, we will head to the airport in the afternoon to catch our flight to the beautiful city of Arequipa. Lunch and Dinner is on your own. 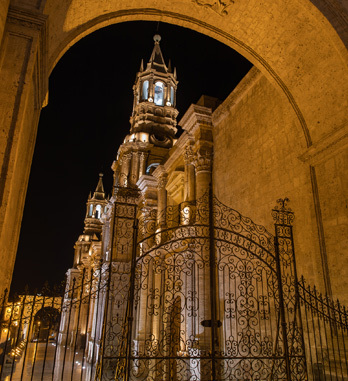 Today you will visit the town of Arequipa and explore the Santa Catalina Monastery. Your afternoon is free to relax or visit some of the great shops around the center of town. Today we leave Arequipa at 08.00 a.m on the to the way the National Reserve of Pampa de Cañahuas where we get to see vicuñas, llamas and alpacas. As we leave Arequipa we will be able to see active volcanoes Chachani and Misti. 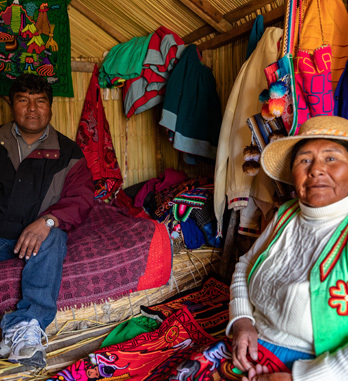 On the route to Chivay, we will visit the small, quaint villages of Callali, Sibayo and Tuti, where the traditional houses and dresses of the Colca people are on full display. We will arrive around 4.00 p.m. at the hotel where you can relax. Lunch and Dinner is on your own although we will be eating together as a group. After an early breakfast we head off to the Cruz Del Condor viewpoint where we hopefully get to see the majestic Condor. This is the only place in the world where you can see giant Condors ride the thermals from deep in a canyon to eye level. 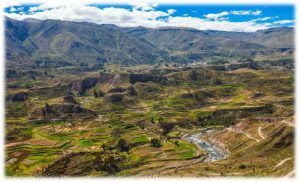 During our tour in the Colca Canyon you can admire the impressive terraces and irrigation systems from the Collahua period. We visit the villages of Maca and Pinchollo. Lunch and Dinner is on your own although we will be eating as a group. AM: You will be transferred to the airport for your flight to Cusco. Arriving to Cusco transfer to your hotel. At 08:00 am walk across the street to Qorikancha, the most important place of orship in the Inca Empire. 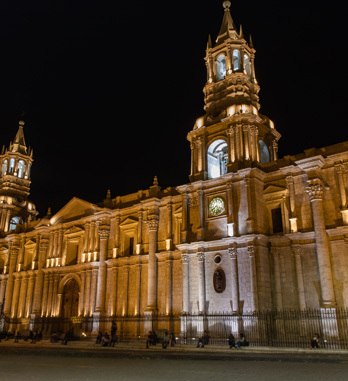 From there we will take a photo-walk through one of the most beautiful cities in Peru, Cusco. Take a short drive to the Inca fortress of Sacsayhuaman for photos exploration. At 01:00pm return to the hotel take some time to grab lunch, rest and relax. Dinner is on your own tonight. Please pack your small overnight bag. 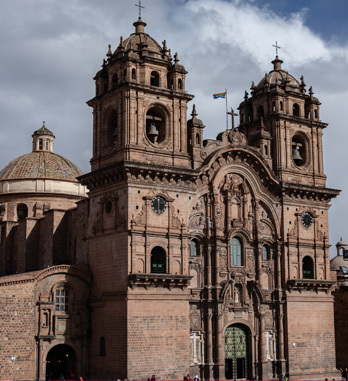 We will depart Cusco tomorrow morning and return Wednesday, April 24th in the evening. Duffle bags will be provided. After breakfast we will drive to the village of Pisaq to photograph the local Sunday Market. This is the place for you to purchase great gifts and souvenirs from the local merchants. 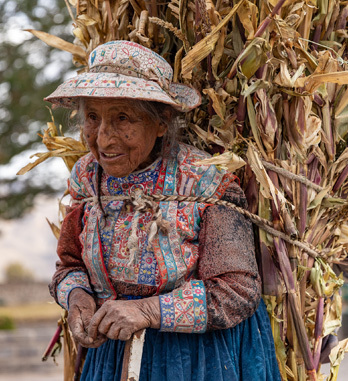 We will also witness the Quechua elders as they arrive for mass form the surrounding villages. 01:00pm – 03:00pm Depart Pisaq for the Incan ruins above town. 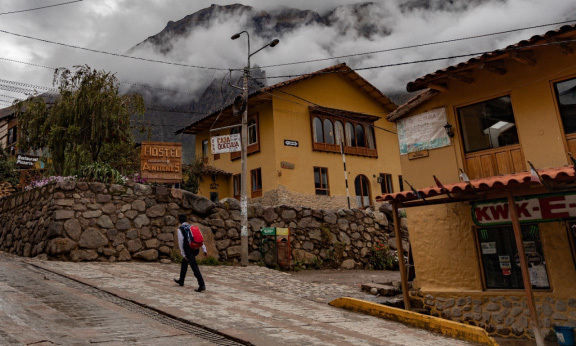 03:00pm, – 05:30pm Make our way to Ollantaytambo and check into our hotel there. 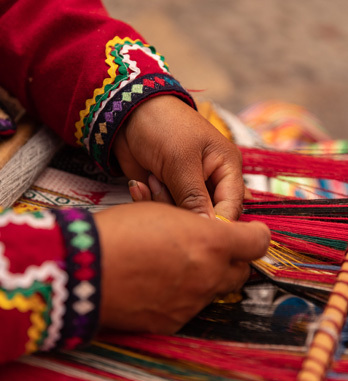 07:30AM – 11:00AM Drive to Chinchero for a weaving demonstration by Quechua artisan omen. 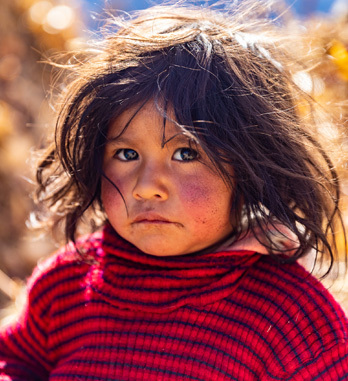 11:00AM – 01:30PM Drive to nearby Maras and stop for lunch with a local family. 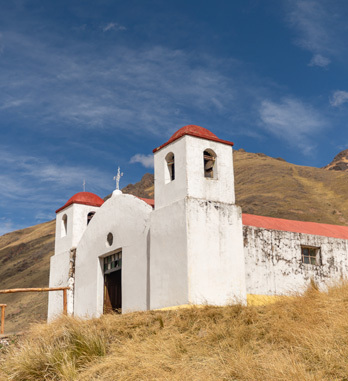 01:30PM – 03:00PM Depart Maras for nearby above-ground salt mines dating back to pre-Inca times. Day 11: Ollantaytambo – Machu Picchu. 07:00AM – 08:00AM Bring your bags down, check-out and enjoy breakfast on us at the hotel. 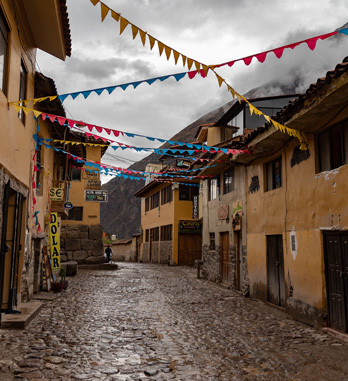 08:00AM – 10:00AM Photo walk and exploration in the village of Ollantaytambo and its ruins. 10:30AM Head to the Ollantaytambo train Station and board our train to Machupicchu. 01:00PM – 05:00PM Have your camera and passport ready! 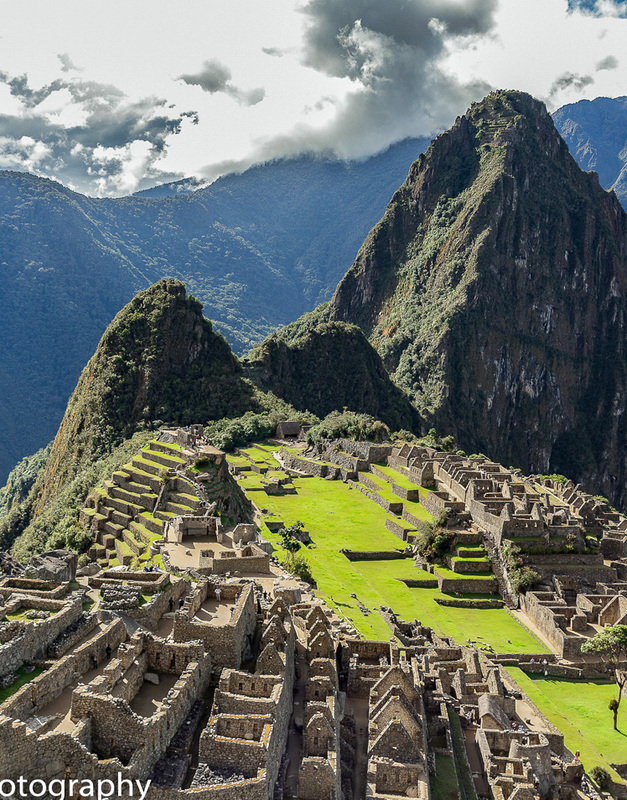 Quickly check our bags with the hotel porter and catch the bus up to Machu Picchu to see it in the evening light. 04:00AM – 12:00PM Meet in hotel lobby at 04:00am to walk to bus station and catch the 05:00am bus to Machu Picchu and see it at first light. 12:00PM – 02:00PM Take the bus back down to Machu Picchu Pueblo and enjoy lunch on your own. 02:00PM – 07:00PM Take the train, departing at 02:30PM, back to Ollantaytambo then drive back to our hotel in Cusco. 7:00 am Transfer to Puno. This day in the route we will visit different places. iracocha temple and Andahualillas Church. We will be arriving in Puno at pproximately 5:00pm. 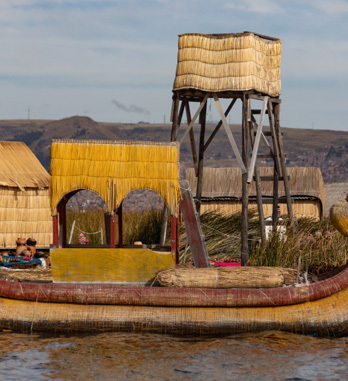 After the breakfast, transfer to the port of Puno to take a tourist motor boat directly to the wonderous floating islands of Los Uros. These millenarian inhabitants remain living on artificial islands made of totora. Known as the tribe the water, they must construct their own islands periodically, adding new layers of “Totora”. Its homes and boats are made of that same material. Late in the afternoon you will be transferred to the airport for your flight to Lima and USA.